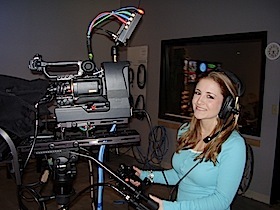 Whether or not you have some experience or have never touched a video camera, there's a place for you on a BMC-TV crew. We offer on-the-spot crew training to match your level of skill and expertise. Volunteer opportunities for regular studio productions, field productions, & special events can be found here. To volunteer, please click the buttons under each posting, or email julie@belmontmedia.org or call her at 617-484-2443 ext. 223. All Studio Productions take place in one of the two studio sets in the Belmont Media Center at 9 Lexington St in Waverly Square in Belmont, MA. BMC's Open Mic show, featuring musicians, poets, comedians, and more! An hour live sports talk show on Boston sports teams. On March 15th, Belmont Media Center and the Belmont Citizen-Herald will be hosting three debates for candidates running for Housing Authority, School Committee and Board of Selectmen. Debates will take place during the following times: Housing Authority at 5:30 PM, School Committee at 6:00 PM and Board of Selectmen at 7:00 PM. Field Productions cover special events related to Belmont. Locations are listed in the call description. Belmont League of Women Voters' presents "Candidates' Night," where town residents can learn about candidates running for Town Office and Town Meeting.